Downtown Enid has seen some amazing times and we are gathering our history to share it with you. This is where you can view and share memories about Downtown Enid - block-by-block, building-by-building. You may add Comments to any of the pages, which will be approved before posting, and you may submit information and photos with the form below. We'd love to include historical facts as well as your personal memories. We will continuously add more to this site with more historic photos and stories! 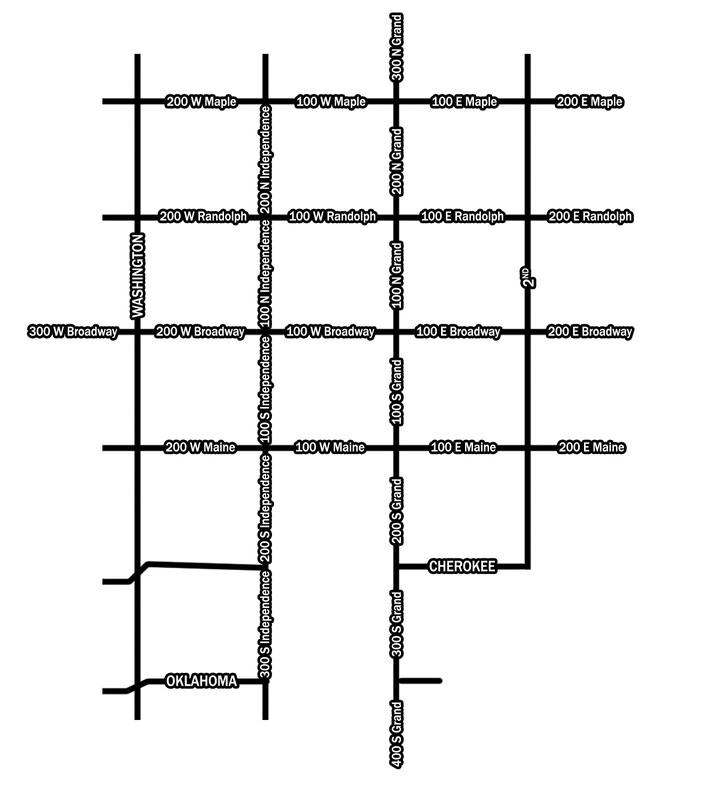 You'll see the links at the top of each street, with drop-down links of each block, then buildings. More pages will be added as we gather more information! You can use the Search box to look for an address or a business that used to be downtown. This site is brought to you by Main Street Enid, community volunteers and contributors. We also thank Downtown Enid History Makers. Enjoy! Would you like to share some Downtown Enid history? Do you have historic photos you'd like to share? By submitting a photo, you agree that you have the right to share this photo and you give us permission to share this photo. If this is not your photo, please don't share it with us or let us know who we need to get permission from.